This year is the 10th anniversary of a book called "The Republican War on Science." I could just as easily write a book called "The Democratic War on Science." The conflict conservatives have with science is mostly caused by religion. Some religious conservatives reject evolution, and some oppose stem cell research. But neither belief has a big impact on our day-to-day lives. Species continue to evolve regardless of what conservatives believe, and if conservatives ban government funding of stem cell research, private investors will continue the work. By contrast, the left's bad ideas about science do more harm. Many on the left -- including a few of my fellow libertarians -- are paranoid about genetically modified organisms. These are crops that have DNA altered to make them grow faster or be more pest-resistant. The left calls that "playing with nature" and worries that eating GMO food will cause infertility, premature aging and a host of other problems. The fear makes little scientific sense. There is no reason to think that precise changes in a plant's genes are more dangerous than, say, the cross-breeding of corn done by American Indians centuries ago or a new type of tomato arising in someone's organic garden. Nature makes wilder and more unpredictable changes in plant DNA all the time. Yet the left's fear of GMOs led activists to destroy fields of experimental crops in Europe and, most tragically, bans on GMO foods that might help prevent hunger and malnutrition in African and Asian nations. The new movie "Jurassic World," in which scientists tamper with DNA to create a super-dinosaur that gets out of control, doesn't just recycle ideas from the original "Jurassic Park." It recycles the same fears that inspired the novel "Frankenstein" 200 years ago -- the idea that if humans alter nature's perfect design, we'll pay a terrible price. But it's nature that is terrible. We should alter it. "Living with nature" means fighting for food, freezing in the cold and dying young. The left's anti-science fears also prevent us from building new nuclear reactors, especially after Fukushima and Chernobyl. But those reactor designs were already considered obsolete. Future reactors could be far safer and would reduce our dependence on carbon-producing fuels. Humans thrive by improving technology, not abandoning it. Lately, some people think they're "erring on the safe side" by avoiding vaccinations. The result is outbreaks of diseases like mumps and measles that we thought were all but eliminated. In Nigeria, conspiracy theories frightened people away from getting polio vaccinations just as we were on the verge of eradicating that crippling disease. The left also objects to science that contradicts their egalitarian beliefs. A few years ago, I interviewed scientists who had discovered ways in which male and female brains differ from birth. The scientists told me that they wanted to continue such research, but political pressure against it was too intense. Men and women clearly have different aptitudes, but today leftists demand that government punish any company that treats genders differently. Few scientists today would even study relative IQs of different ethnic groups. They know they'd be de-funded if they discovered the "wrong" facts. I say, follow the truth wherever science leads. "Science Wars" is the subject of my next TV show. 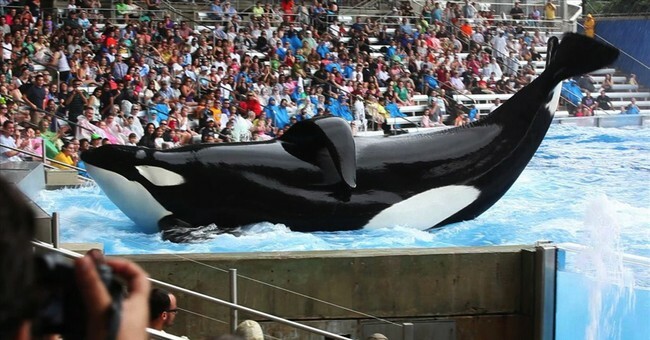 Last week, I reported how SeaWorld had been smeared by animal rights activists. The activists responded with more smears. They claimed my producers and I wouldn't talk to animal trainers seen in the film "Blackfish." But I tried interviewing them -- they refused to talk. The activists also claim we based our report on views of Bridget M. Davis and Mark Simmons, but I don't even know who they are. Then they claimed we got all our information from SeaWorld, but that, too, is a lie; of course, we consulted independent sources. As often happens, activists put politics before reality.